Defensive linemen are the first line of defense against an incoming run. They have been admired and respected for their unique ability to command and influence the direction of the game by taking down opposition offense via any means possible. Some defensive ends were more gifted and successful than others at their position. Here is a list of 10 greatest defensive ends that shone brilliantly in terms of personal and team accomplishments. Lilly was fondly referred to as Mr. Cowboy by teammates and opponents alike because you could count on him to take opposition offense for a ride whenever he was on the field. He was drafted as the first pick in 1961 by the Dallas Cowboys, and he spent the next 14 years viciously dominating the defensive and tackle ends at the line of scrimmage. Bob Lilly was beloved by fans everywhere because of his endurance and incredibly fast pace. He can be counted on to claw, scratch, and slam his way to a free run into the backfield. He would chase down turnovers, stack up sacks and tackles. By the end of his career, he had four touchdowns, 104 return yards on 18 recoveries, two NFL Championships, and one Super Bowl under his belt. 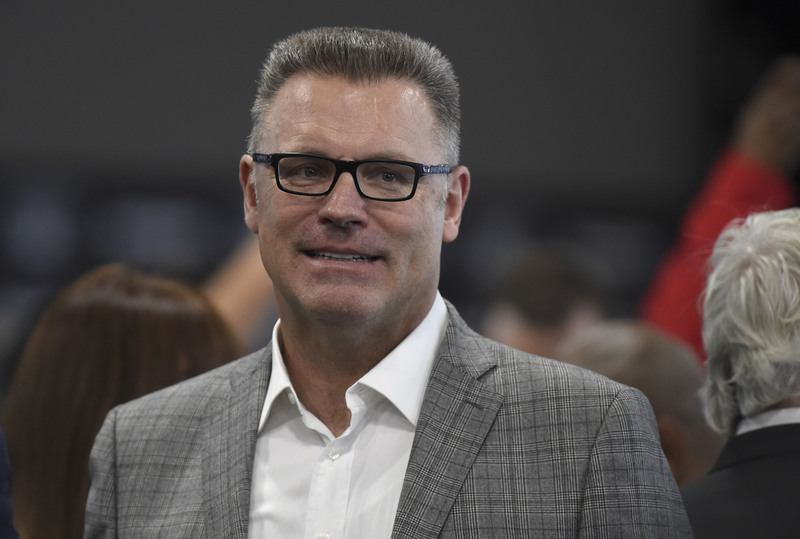 Long before Howie Long became an NFL sports personality on FOX, he served as a defensive end for 13 wonderful years for the Los Angeles/Oakland Raiders. In fact, one of the greatest defensive ends the team ever had. He helped his team secure Super Bowl XVIII victory against the Redskins and earned the NEA Co-Defensive Player of the Year honors in 1985. Long was known for playing inside and outside, running downs and nickels. He switched positions every now and then, but his iconic rip move remained constant. 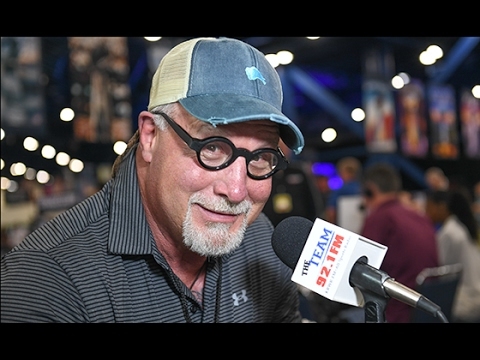 Howie drew a lot of inspiration from some of his favorite players who dominated positions that he needed to master like Randy White, Jack Youngblood, and Lee Roy Selmon. Despite peaking late into his career, Randy went on to become one of the greatest defensive ends the NFL has ever seen. He started his career playing as a linebacker and was considered a lost cause in the beginning. That stench followed him around for three years until he was relocated to the back of the line as a defensive right end where he immediately transformed into a dominant force. He seemed to have boundless energy, durability, and strength. In the 14 years of his career, Randy missed just two games. He was one of the biggest names in the game in the 1980s, registering double-digit sacks for several years. He helped his team, Dallas Cowboys steal a Super Bowl XII victory over the Denver Broncos and took home MVP title alongside his fellow defensive end Harvey Martin. Julius Peppers joined in the NFL in 2002 and is still active till today. He has played for the Carolina Panthers and Chicago Bears. Although he has not been the most consistent player on this list, he is still one of the greatest defensive ends of all time. There have been years when he was in the pits, and times when he was the most gifted and dominant player any team could ask for. He moves so quickly on his feet and is able to stun opposition offense and leave them in a daze while passing and running in the game. Peppers has 8 career interceptions for two touchdowns to his credit, as well as 7 Pro Bowls and 5 All-Pros. Considering that Julius still has a couple of active years in his career before talks of retirement start making the rounds, his stats are bound to improve and reach greater heights. Someday, he might even get inducted into the NFL Hall of Fame for his talents. Lee Roy’s career is one of the biggest runs the NFL has ever seen. He was a force to be reckoned with, combining power and speed to secure the edge of the defense life. Lee could leverage his impressive height and weight to ram into his opponents like an angry bull, with enough power in the tackle to send them to the ground. He would then sidestep the offense and head towards the quarterback. From 1976-1984, Lee Roy was part of the main line of defense for the Tampa Bay Buccaneers before his career was derailed prematurely by an injury. However, while he was still able to work his magic, Lee made the Pro Bowl six times, collected the 1979 Defensive Player of the Year honors, and sealed his Pro Football Hall of Fame credits. Although most younger fans would recognize Deacon James as the friendly neighborhood sports grandpa and camera vixen, he was one of the fiercest and greatest defensive ends to walk the field in his active years. He was the player who invented “sack” and gave it a new meaning. Deacon and his teammates Lamar Lundy, Merlin Olsen, and Rosy Grier were known as the Fearsome Foursome. They carried the LA Rams on their backs, helping them win titles, and revolutionizing defensive play and chasing down the action from side to side without leaving a gap in the defense. Deacon patented the head slap, a unique and effective tactic which saw him fire off the ball and bludgeon any offensive lineman in his way with a daring slap to the head that would make his vision blur, leaving Deacon to roam free deep in the offensive backfield. The tactic has now been declared illegal. Deacon had 8 Pro Bowl appearances and two MVP honors to his name at the time of his retirement. Bruce held it down for the Buffalo Bills as a defensive end for a very long time, although he would occasionally switch positions to center tackle or right end so opposition players could never learn enough to pull one over him. He was perfect at blocks, running back chips, and even dirty play whenever he needed out of the game. He was an unstoppable force and has the highest number of sacks in NFL history today with 200 sacks. Bruce was a well-rounded player. He had it all: strength, agility, talent, tactics, speed, recovery, and sheer power. He crushed and blindsided quarterbacks left and right, causing the stadium to erupt in chants on numerous occasions. As far as greatest defensive end go, Bruce is one of the more deserving of the title. Alan is best known for the amount of aggression with which he controlled the defense for Minnesota’s Purple People Eaters. He is one of the reasons why the team was so feared and revered for several years. Page would snap, seek and destroy, and overpower any ball carrier with incredible speed. He could read how a player was going to move and instinctively react to it. In his 15 years long career, Alan racked up numerous awards for his teams and astounding statistics for himself. By the time of his retirement, he had appeared in 238 straight games, with 9 consecutive trips to the Pro Bowl, four trips to the Super Bowl, racked up 173 sacks, 23 fumble recoveries, and 28 blocked kicks. Alan was a legend anyway you chose to look at the game and his impressive contributions to it. Mean Joe as he was fondly called was the center of the Pittsburgh Steel defense in all the years he spent there. He was dominant in passing and running game, and striking fear in the hearts of opposition offense. His preferred technique involved him wedging his body between the gap and guard-center thereby blocking plays and distressing receivers. Joe was at his peak in the 1970s, managing to score four Super Bowl trophies and numerous playoff titles. He is famously remembered for the Super Bowl IX where he traumatized the Minnesota Vikings, tallying one interception, one fumble recovery, and one forced fumble. Joe had a temper that often got the best of him, making him spit in a player’s face and challenge another to a fight in the middle of a game. He was mean, but he knew what he was doing and was incredibly good at it. It’s no surprise he is one of the greatest defensive ends in NFL history. When Reggie was alive and active, he was a force to be reckoned with. In fact, he was called the Minister of Defense thanks to his mastery of the hump tactic, which involves shrugging his shoulders, shaking his forearms to escape a right tackle, then shimmy back to the inside, run straight into the backfield and blast any quarterback that crosses him into the moon. He was the first choice prize to make it out of the era of free agents sweepstakes after he took his skills to the Green Bay Packers and Frozen Tundra. In the six years he spent with the Packers, he ruled the game with double-digit sacks and one Lombardi Title. Reggie retired in 2008 after 15 glorious years of service that yielded 1,048 tackles, 198, sacks, 13 trips to the Pro Bowl consecutively, and two NFL Defensive Player of the Year honors. He is truly one of the greatest defensive ends to ever do it.